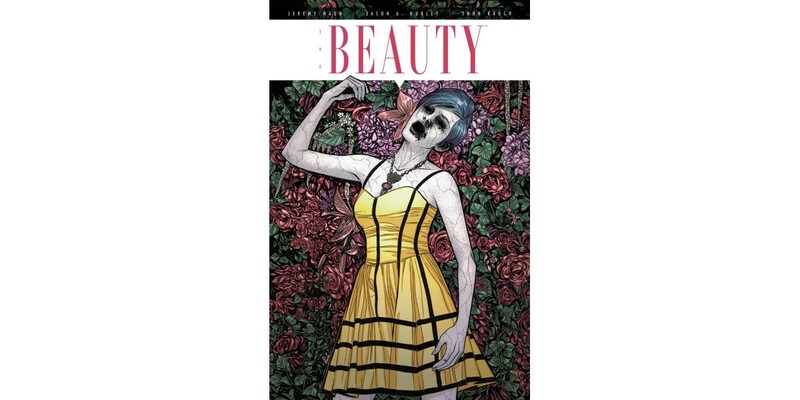 Writer/artist Jeremy Haun (Constantine, Batwoman) teams up with co-writer Jason A. Hurley for the engrossing drama, THE BEAUTY, VOLUME 1. This collects issues #1-6 into trade paperback and will be available this March. In THE BEAUTY, VOLUME 1, a sexually-transmitted disease aggressively spreads across the world. But this is one disease people actually want to catch: a disease that makes those infected physically beautiful. Two years after the Beauty burst onto the scene, over half of America is infected. Now, it looks like the downside may be far worse than anyone suspected. Detectives Vaughn and Foster find themselves on the front line of the battle against the Beauty, embroiled in a conspiracy they never knew existed. THE BEAUTY, VOLUME 1 (ISBN 978-1-63215-550-4) hits comic book stores on Wednesday, March 16th and bookstores on Tuesday, March 22nd, and will be available for $9.99. It can be ordered by retailers from Diamond Book Distributors with Diamond code JAN160633. It can be preordered now on Amazon, Barnes and Noble, and Indiebound.